1. Support 8CH Video & Audio synchronous input, 1CH Video & Audio synchronous output; 1CH VGA output, 1CH AV Output. 3. H. 264 video compression, Linux system, Hi3521 processor. 4. 8-36V wide voltage power supply. 5. With excellent vandal resistant, Splashproof, dustproof functions. 6. Support 2.5 inch hard disk(at maximum 2TB storage)+1pc 128G SD card. 7. Automatic reset: System will recover to video recording state quickly after the power is on again; Even the instant power off does not affect the recorded video. 8. With full enclosed lock design, it can prevent the man-made sabotage effectively; Support mouse operating. 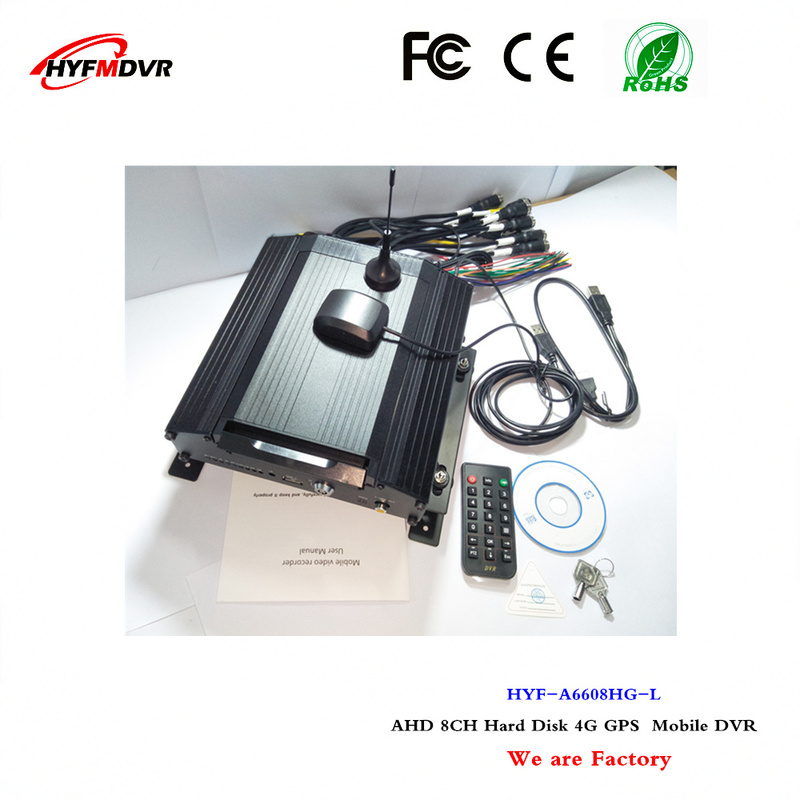 we are mdvr and car camera factory.